(2016/Rhythm Bomb) 18 Tracks - What might be the coolest festival a Roots band can play ? 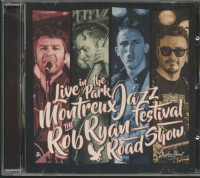 Yep, the Montreux Jazz Festival! 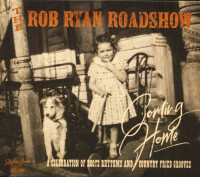 The Rob Ryan Roadshow played there and recorded a live album in 2014. The result is a longplayer fully packed with live versions from their 4 studio albums! US-American ROBERT RYAN lives in Berlin for many years by now. Disappointed from the Nashville music szene he moved into the European capital of Roots music, BERLIN! 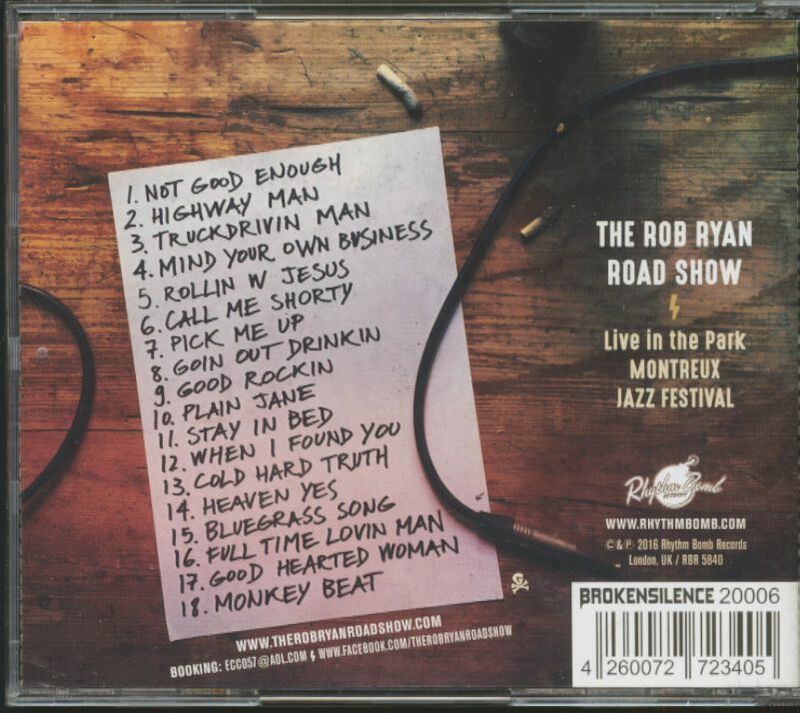 You can meet ROB RYAN'S ROADSHOW at club gigs in Germany, as well as at the HARLEY DAYS, headlining Country music festivals as well as Car Shows. They also acted as supporters for such big stars as IMELDA MAY and THE BOSS HOSS. This record is as colorful as the band … the members hail from Germany, Italy, South America and the US and their music range is even wilder, from BLUEGRASS to HONKY TONK to ROADHOUSE ROCK, ROCKABILLY, COUNTRY, AMERICANA – you name it ! 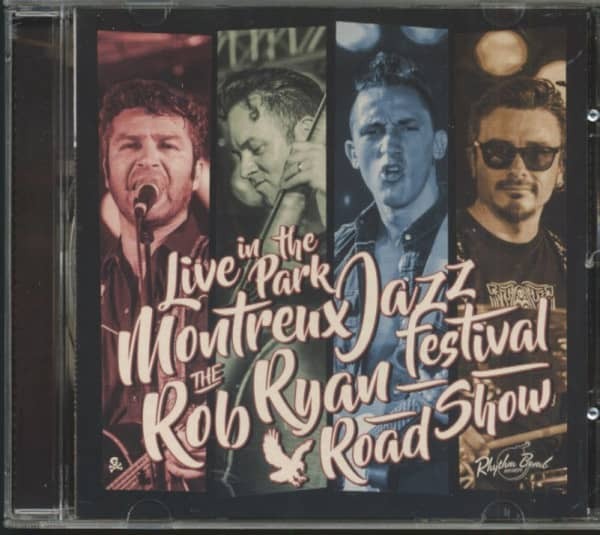 ROB RYAN ROADSHOW is living from the energy of their audience and that's exactly what is caught in these dynamic and great sounding live recordings! Thanks to Alex Ott who runs Paul Lincke Studios in Berlin and did a great job in recording and mastering ! Artwork by award winning GITO LIMA from Berlin! Get this live atmosphere into your home! Customer evaluation for "Live In The Park - Montreux Jazz Festival (CD)"